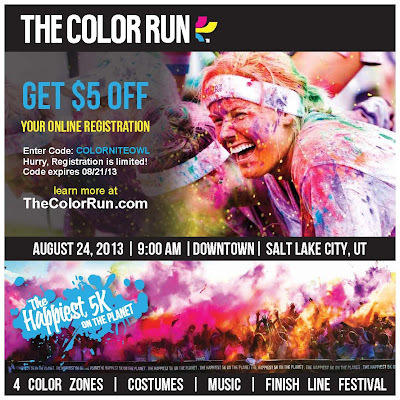 Nite Owl Creates: SLC The Color Run - Last Chance! 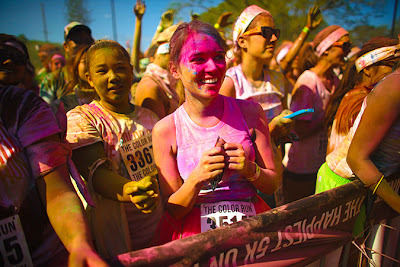 SLC The Color Run - Last Chance! 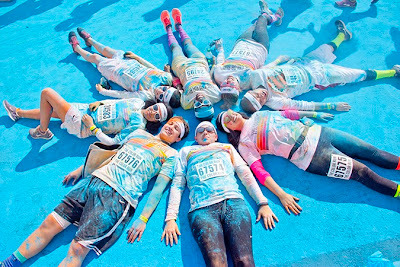 I hope you don't have plans for August 24th in Salt Lake City unless they involve The Color Run - I know that is what my plans are and I'm super excited to be a part of this! the website to sign up to participate! 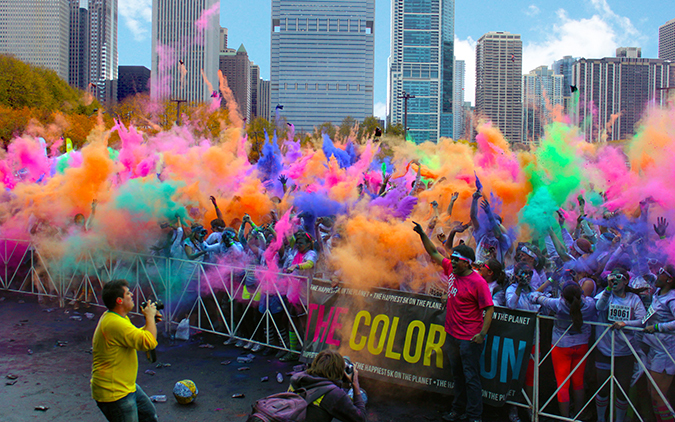 Don't worry if you are not a runner, I for sure am not! I'll be speed-walking and possibly doing a little jogging. 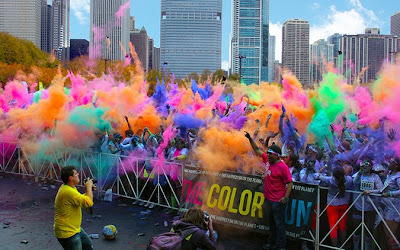 No matter what your skills, anyone can participate in this. There is no age limit either. Use my promo code "COLORNITEOWL" to get $5 off your registration! So come out and bring your friends for a fantastic start to your Saturday. 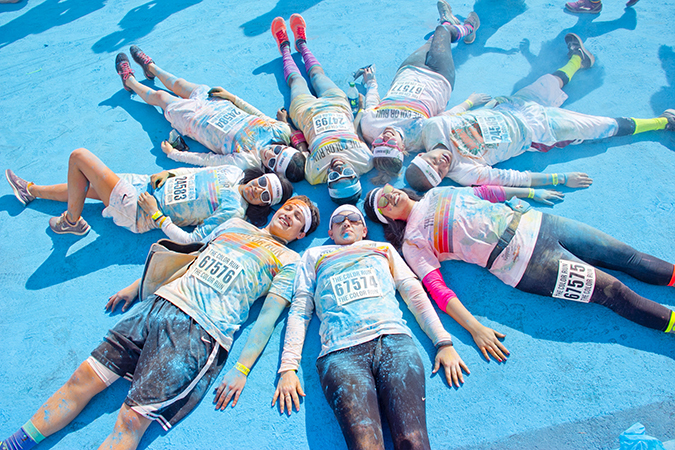 Friends, colors, fun ~ you can't ask for much more than that. Hey there! I just wanted to stop by to say thanks for the follow on bloglovin'! I'm happy to be following you back :o) Hope are having a fabulous Friday and have a great weekend!